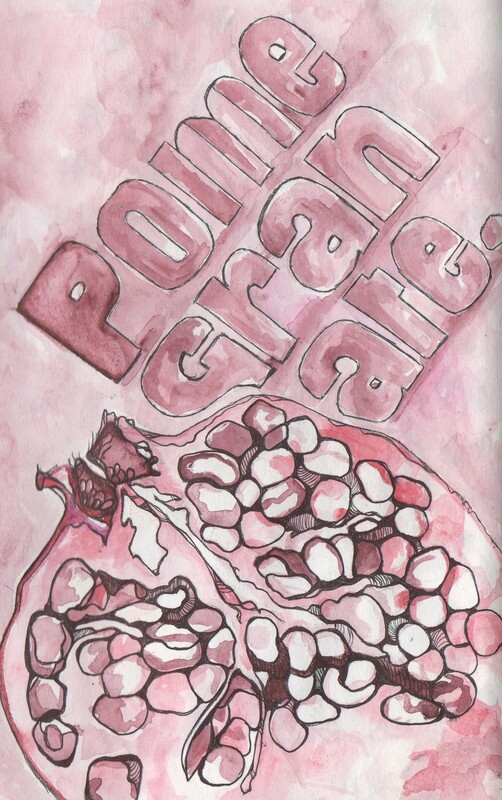 ‘I thought I was smart until I had to figure out how to eat a pomegranate.’ Anon. | Sally says . . . eat, sleep, work, read, play, draw, bark . . .
← ‘The world is mud-luscious and puddle-wonderful.’ e.e. cummings. ‘I thought I was smart until I had to figure out how to eat a pomegranate.’ Anon. Pomegranates are amongst the healthiest fruits on earth. They are nutrient rich, can have incredible benefits for your body, and may lower the risk of all sorts of diseases. So you would have thought that if someone made them so good for us, they might also have thought of a way to make them easier to eat . . .
Not so easy to spell either!